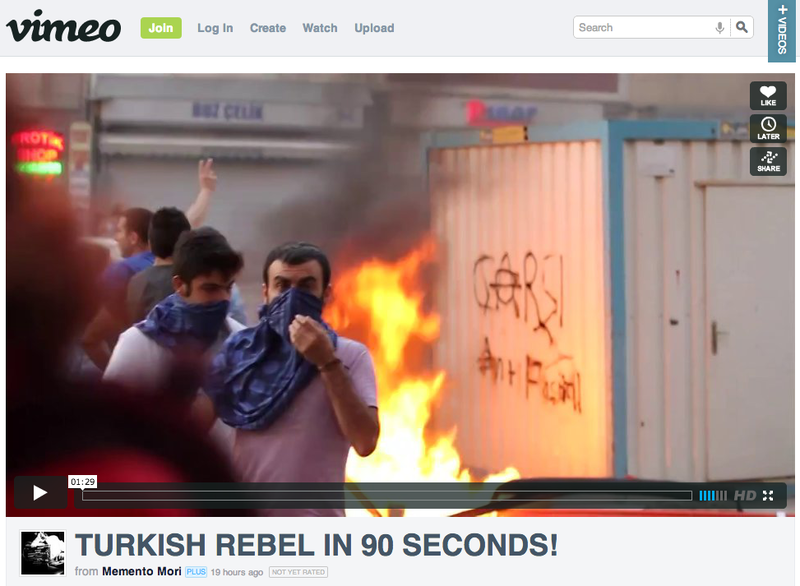 A screenshot of the video as it appears on Vimeo. Running time: 90 sec. The video is somewhat graphic, and shows massive protests, in addition to the violent police response. The Reddit post which led me to the video also has lots of additional useful information in the comments. These include firsthand accounts, live video streams, and news articles. Although Reddit comments can often be petty and childish, when serious stories like this break, the community often "upvotes" the most helpful comments to the top, as opposed to jokes and memes. Social media is also a good way to get quickly developing information from the ground when traditional news sources may be lacking. It's hard to verify the info, but according to several posters, the Turkish authorities are blocking access to Twitter and Facebook, and some posters are recommending using Tor or a VPN to regain contact with the outside world. 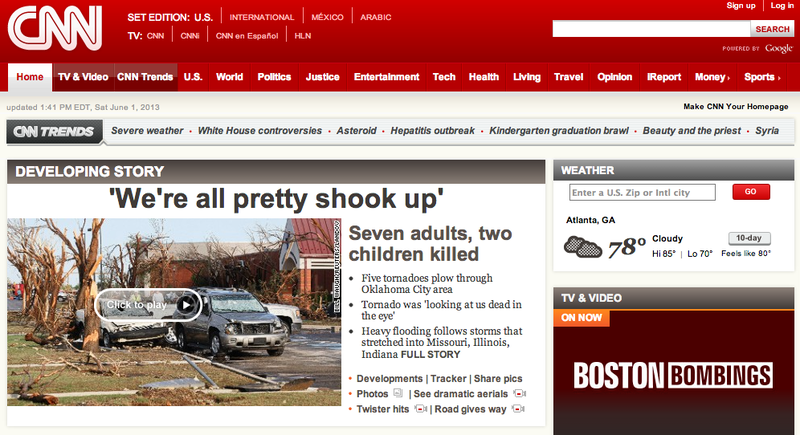 CNN front page on the morning of June 1st. The story had failed to break into the topmost area of the front page, where most eyes will focus in on before clicking on a story. I'm sure they will pick up on it soon if the protests continue, but it still shows a compelling point - it's hard to say if we would even know about a story like this, or ever hear about it, without the Internet. Turkey has one of the largest armies in the world, is a large member of NATO, and has between 50-90 nuclear weapons stationed there on NATO's behalf. So it will be very interesting to see how the situation develops, as well as how the US responds. The video on Vimeo is compelling, and I haven't checked out any of the streams yet, but I'm sure they give as close to a firsthand account as is possible while sitting at a computer in the United States. The rapid development of news from combat zones - from weekly radio bulletins in WWII, to 24/7 TV news coverage in the Gulf War, to live video from people involved in the conflict - is amazing, in some ways appalling, and a testament to the rapid development of communication technologies. I can only assume new gadgets like Google Glass will contribute to this phenomenon.